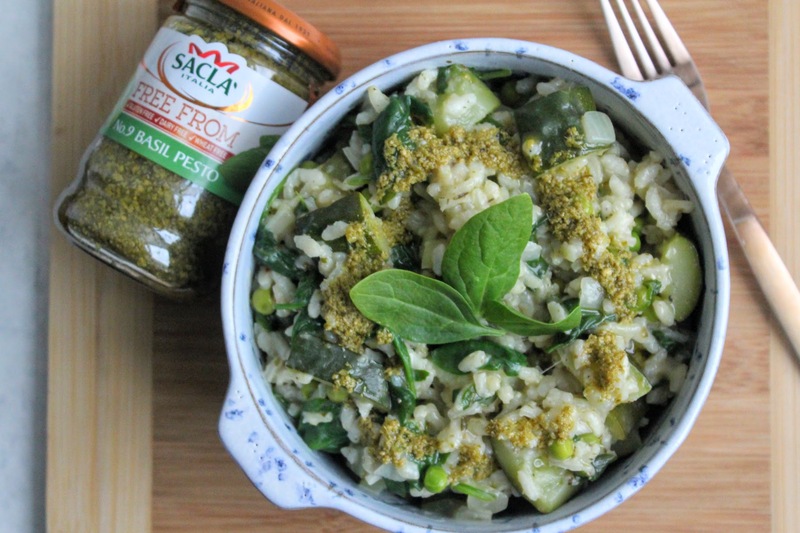 To coincide with World Vegan Month I was invited to create a recipe using Sacla’s new free-from pesto. Now I don’t know about you but I absolutely ADORE the stuff – red, green, I really don’t mind, I just love the rich, powerful flavour of this kitchen cupboard staple. 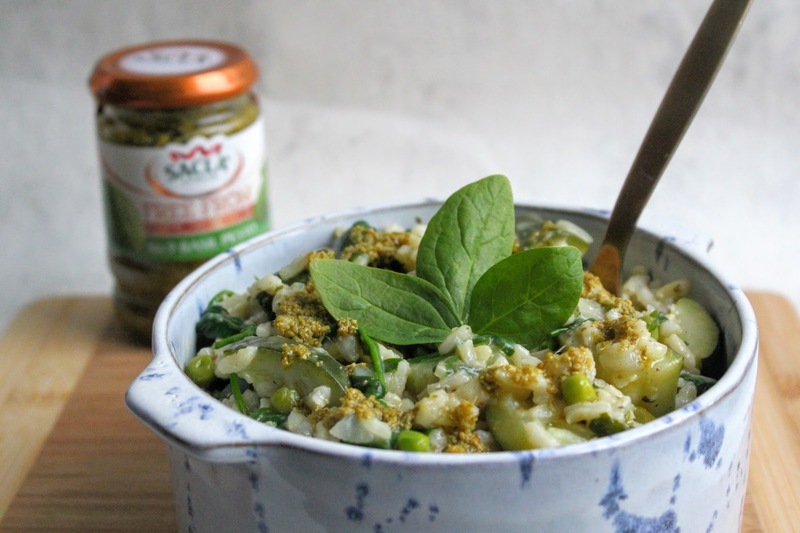 While many pesto sauces contain Parmesan and other dairy ingredients, you’ll be pleased to know that Sacla have created two versions – Basil and Tomato – which are suitable for vegetarians, vegans and contains no gluten. Using tofu instead of cheese, both flavours cleverly replicate the same great taste and texture as the classic favourites in the range so you definitely don’t feel like you’re missing out or that anything is lacking. Even better, derived from soya beans, tofu is a great source of protein, iron and calcium so you’re still getting a nutritional hit when adding to dishes too! 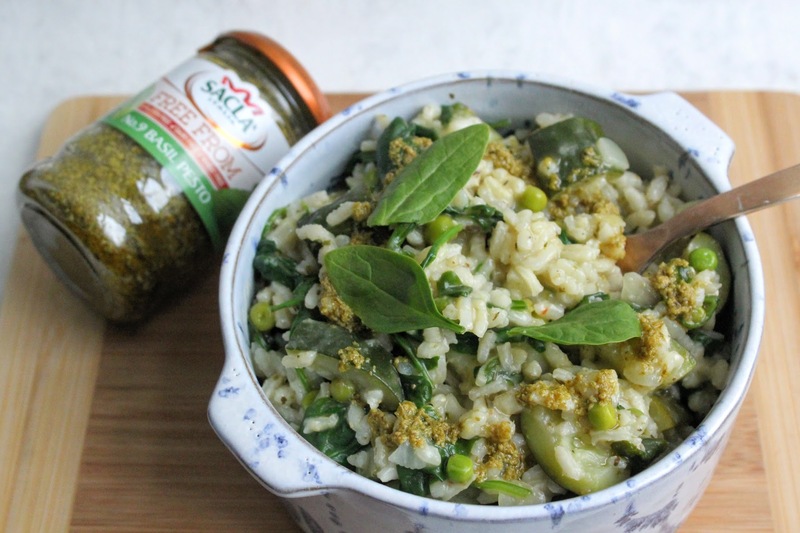 This super simple but delicious risotto recipe is a great quick and easy plant-based meal packed full of vegetables and flavour thanks to using the Basil Free-From pesto – add in as much as you like! 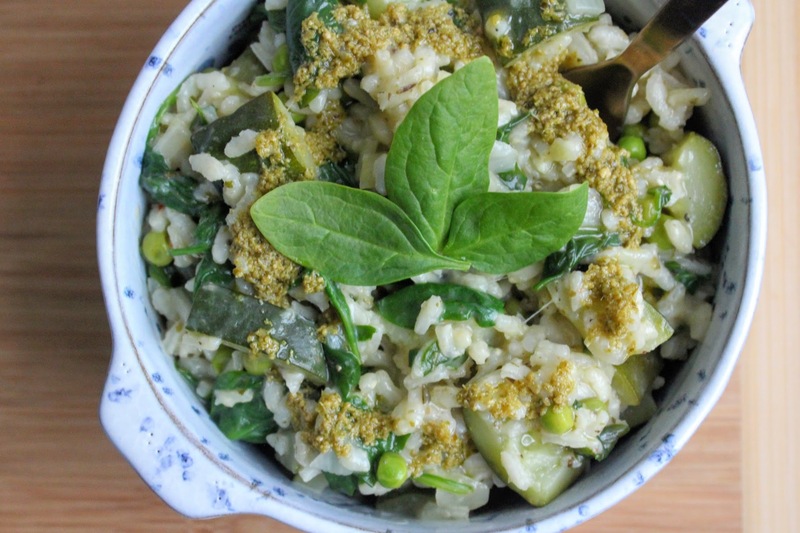 You could use other veggies like mushrooms, leeks or kale and even add in some lemon zest; that’s the beauty of a risotto, just throw in whatever you have in! Heat the oil in a large pan and cook the onion and garlic on a medium-high heat for 5 minutes until starting to soften. 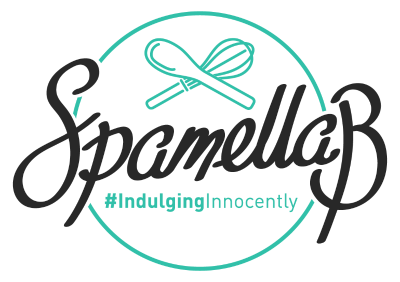 Throw in the courgette chunks and cook for a few minutes, then add the peas, risotto rice, pesto and about 200ml of the stock. Bring to the boil then simmer, stirring regularly. After about 10 minutes add another 200ml of the stock, then the rest of it until the liquid has been absorbed and the rice is tender. Stir in the spinach to wilt and sprinkle in some black pepper. Serve onto bowls of plates and garnish with extra pesto mixed with a little olive oil and a few basil leaves. Enjoy!